After a grand jury recently decided not to indict officer Darren Wilson for the shooting of Michael Brown, college students across the nation reacted in outrage. Yet setting aside for the moment the particulars of the Brown case, these student protesters show either a plain disregard or willful ignorance of the data on murder rates and social breakdown within black communities relative to other ethnicities. One could easily blame their teachers for that. For example, Georgetown University Professor Michael Eric Dyson suggests white cops who kill unarmed black youth is so rampant as to be a “plague,” and Kathleen McCartney, president of Smith College, told students after the grand jury decision the criminal justice system is racist against black people. Brown’s death has been made a symbol of institutional racism by the police against young black men. But the facts don’t support those claims. For example, Fox News, using info compiled by the FBI, Census Bureau and Centers for Disease Control and other federal agencies, found that: police killings of blacks are down 70 percent in the last 50 years; and in 2012, 326 whites were killed by police officers compared to 123 blacks. Even more so, “Blacks are just 13% of the population but responsible for a majority of all murders in the U.S., and more than 90% of black murder victims are killed by other blacks,” notes Wall Street Journal columnist Jason Riley. And he’s right. 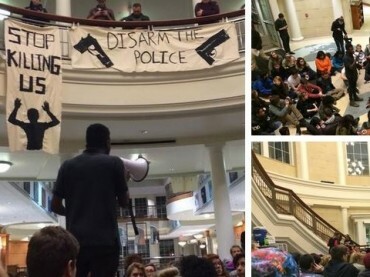 Thousands of students staged “die-ins” – and ignored the real tragedy. It is the self-destruction of an American community about which we should all be concerned, the breakdown of the African American family. But student are not given that narrative inside the classroom. With some notable exceptions, not many leftist scholars acknowledge the cause underlying the plague of black crime. In 1965, U.S. labor statistics showed that 24 percent of black births were to unmarried mothers. By 2009 that rate had jumped to 72 percent — compared to the rate of unmarried births to all American mothers at 41 percent. Why do young black males commit more crimes than whites? As Orlando Patterson, a black sociologist at Harvard, wrote in 2006, the propensity to commit crimes by black youth is due in part to the “catastrophic state of black family life.” … the lack of male influence in the home contributes…directly to crime and once again demonstrates the power of Moynihan’s argument about black families. Without increasing the number of black children, especially males, reared in married-couple families, all the other interventions will at best be only partially successful in reducing incarceration rates among blacks. This real inequality of family breakdown comes as an inconvenient fact for the identity politic paradigm of the student protesters. Michael Brown comes from a broken home, for example. Ferguson presented what could have been an honest national conversation about race and politics. Certainly one can have informed concerns about the militarization of the police, for instance. 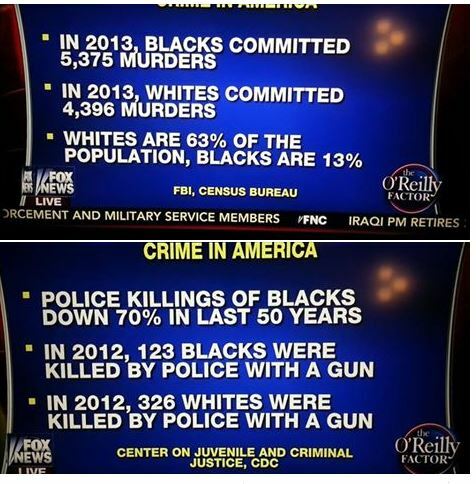 But students are missing some crucial facts about life for black Americans when they protest. This conversation does not have to be some political football, but only if people get their facts straight then a genuine conversation can begin. College Fix contributor Ryan Shinkel is a student at the University of Michigan.